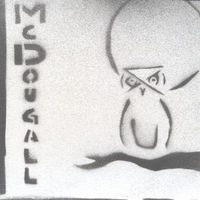 McDougall’s “Cover with the Moon” Released on OTGT! McDougall has just released OTGT’s 2nd release: Cover with the Moon! This CD is now available via cdbaby.com. Catch the CD release party in Portland, OR, April 4th at Mississippi Pizza! This entry was posted on Tuesday, March 24th, 2009 at 9:46 pm. You can follow any responses to this entry through the RSS 2.0 feed. Responses are currently closed, but you can trackback from your own site.